SCVHistory.com TN6904a | CalArts | Harrison A. Price, Chairman of the Board, 1969. Harrison A. Price, Chairman of the Board, California Institute of the Arts. From the press kit of March 19, 1969, announcing the launch of the initial building fund. 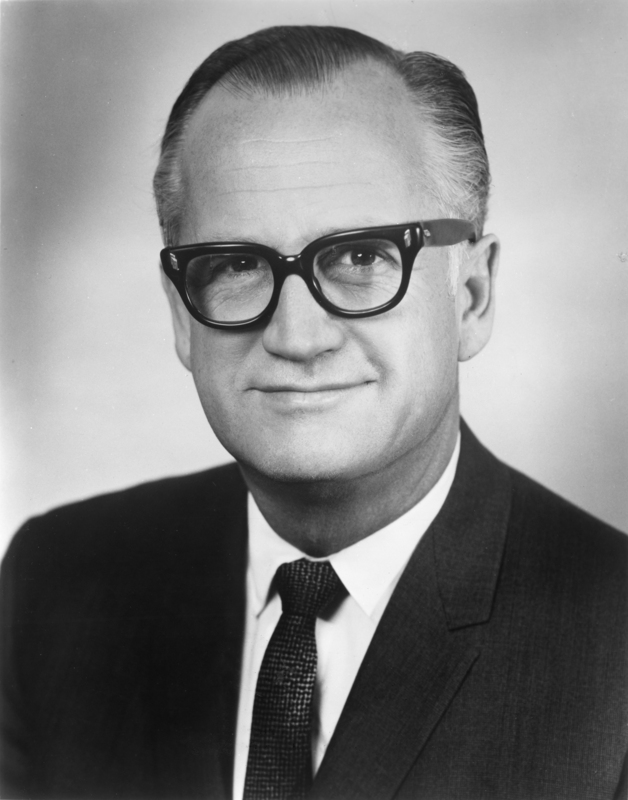 Price was president of Economics Research Associates, a director of Scope Industries and American Nucleonics, and chairman of Facts Consolidated. About California Institute of the Arts. The physical buildings are one thing, but CalArts actually started in 1961, ten years before it had a permanent place to call home, with the merger of the Chouinard School of Art and the Los Angeles Conservatory of Music and Arts. The L.A. Conservatory had started in 1883 at Fourth and Main Streets in L.A.; Chouinard Art School started in 1921 near MacArthur Park. Under the umbrella of CalArts, a few hundred students (485 in 1965-66) took classes at each location (mostly at Chouinard) while the Institute's board of trustees pursued a new, modern facility with room to grow. Initially the trustees set their sights on the Hollywood Hills across the highway from the Hollywood Bowl, but by 1966 they were preparing to build a campus on The Walt Disney Co.'s Golden Oak Ranch property in Placerita Canyon. Walt Disney Productions donated 38 acres to the effort, and it seemed all systems were "go" — until unforseen geological problems with the Placerita property dashed those plans (see Ruth Newhall 1992:241-242). But change was afoot in the Santa Clarita Valley, and a top-flight art school meshed nicely with The Newhall Land and Farming Co.'s vision for its "New Town" of Valencia. An even bigger 60-acre site and attractive freeway alignment were just what the doctor ordered. In 1971 the Institute moved to its new, permanent home in Valencia where it recruited some of the top creative minds in their respective fields — from Disney animator Jules Engel to sitar impresario Ravi Shankar; from Swing Era jazzman Mel Powell to conceptual visual artist John Baldessari. With more Grammys, Oscars and other peer recognition to their credit than can be enumerated, CalArts alumni have stretched the limits of creative imagination. Offering rigorous undergraduate and graduate degree programs through six schools — Art, Critical Studies, Dance, Film/Video, Music, and Theater — the Institute first envisioned by Walt Disney encompasses a vibrant, eclectic community with global reach, inviting experimentation, independent inquiry, and active collaboration and exchange among artists, artistic disciplines and cultural traditions. 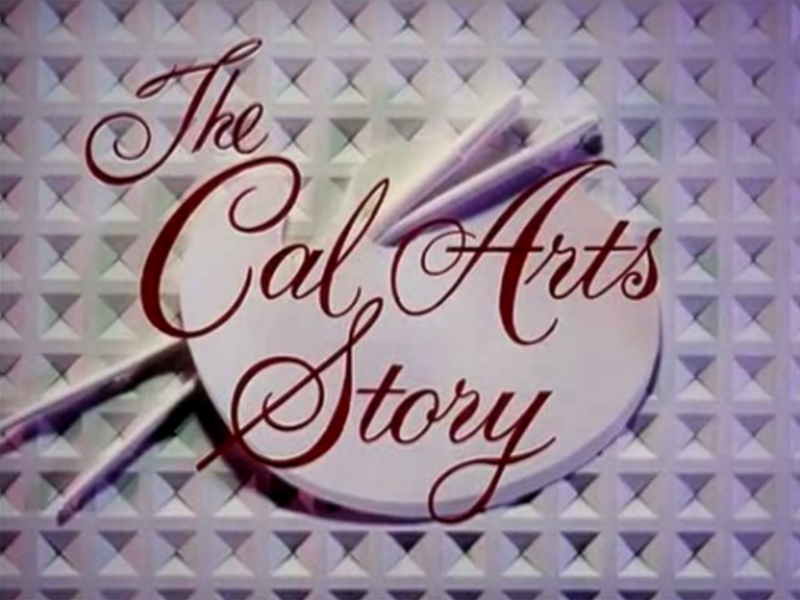 Admission to CalArts is competitive and considered mainly on the basis of demonstrated artistic merit, as assessed by the faculty of the individual programs. Other important considerations include educational records, recommendations, and artist’s statements by applicants. Based in Valencia, north of Los Angeles, CalArts further extends its commitment to the arts through the Roy and Edna Disney/CalArts Theater (REDCAT) in downtown Los Angeles and the nationally emulated Community Arts Partnership (CAP) youth arts program. TN6904a: 9600 dpi jpeg from original 8x10 glossy photograph from the collection of Tony Newhall, whose father Scott Newhall was a member of the CalArts board of trustees..